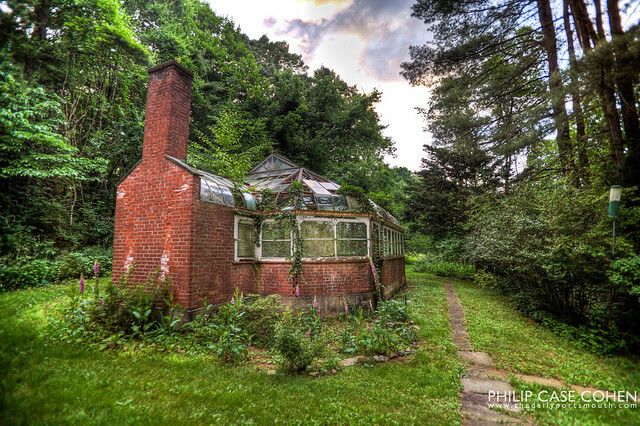 For today’s post, a much beloved greenhouse located in West Hartford, CT is featured. This was Waldo Case Bigelow’s pride and joy (yes – I am honored to say that I have my grandfather to thank for my middle name). 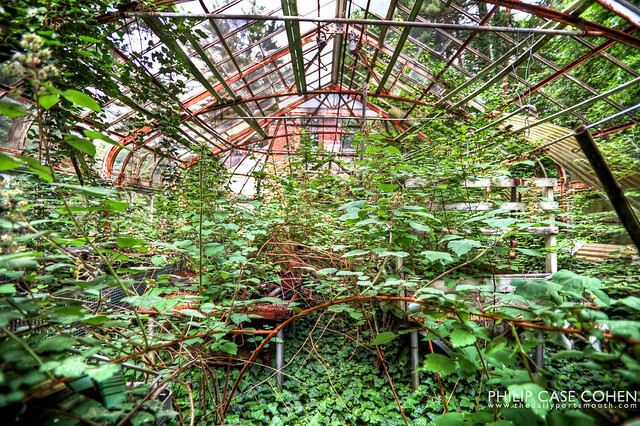 You wouldn’t guess from how it looks in the photos, but this greenhouse was lovingly and painstakingly maintained by my grandfather when he was still alive. 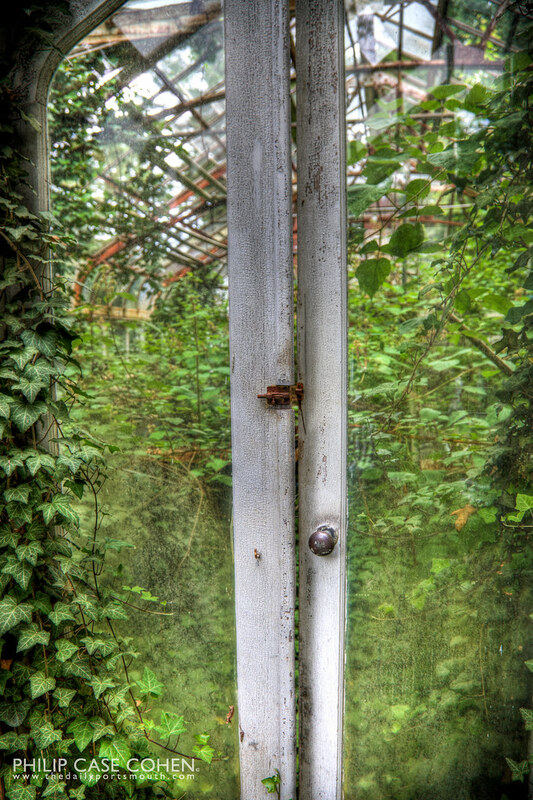 The beautiful glass ceiling (its glass panels have since fallen through the frame) would glisten in the sun, and the contents were very much alive and immaculately maintained – with the trademark orchid delivered to all of the neighborhood women on Easter each year. Although the original plants are long gone and the overgrown weeds and greenery can’t detract from the wonderful memories that our family has of this haven. This is just like one of my fairy tale dreams from the past. LOVE it and feel like I’m there. The best part is—it’s REAL! My gosh, what an absolute shame to see what has become of such a beautiful piece of history. Wonderful photos, Phil.